Kroger Cart Buster Event & $25 Gift Card Giveaway! It's that time again! Beginning the week of February 26, shop the Kroger Co. Family of Stores for their Cart Buster Savings Event! During this event, you can get some of the hottest prices on many of the brands you already love, including Cheerios, Pillsbury, Betty Crocker, Pampers and Pepsi, to name a few. With more than 35 brands across more than 60 categories, you're sure to find some great deals to re-stock your pantry. You can add to that savings by visiting CartBuster.com to find money-saving coupons and to plan your shopping list ahead of time. As you can see, there will be many opportunities to save during this event, so make sure you get to Kroger to take advantage of all of the great savings! Giveaway: One winner will receive a $25 gift card to the Kroger Family of Stores! To enter, tell me one brand you're hoping to save the most on during this promotion. Giveaway ends Sunday, March 4th at 11:59 pm EST. Winner will be chosen at random from all eligible entries. Good luck! Did you make a resolution this year to lose weight? If so, you may already be at that point where you're bored with all of the "diet" food. That's why it's so great that Progresso offers 40 yummy soups with 100 calories or less per serving. The soups are filling and satisfying, so you don't feel like you're depriving yourself, and with all of the different varieties, you can stay out of the diet food rut. As an added bonus, Progresso® is excited to announce the return of their Souper You® Contest, giving you the chance to win an incredible makeover! By telling Progresso why you deserve a makeover and what you love about their soup, you could have the chance to win an ultimate makeover experience in Hollywood this Spring! Just visit www.SouperYou.com and submit their photo with a brief essay about why you love Progresso soups and why you deserve a makeover, by no later than February 22nd. You could be on your way! The top 10 finalists will be announced on March 12th and fans will vote online for their favorite entries until March 25th. *Bonus!! Download a coupon for $1.25 off the purchase of 4 cans of Progresso soup! To enter, tell me which of Progresso's many soup varieties is your favorite! Giveaway ends Wednesday, February 22nd at 11:59 pm EST. Winner will be chosen at random from all eligible entries. Good luck! The Progresso® Souper You® prize pack, information, coupon, and giveaway have been provided by Progresso through MyBlogSpark. The holidays are over and I know my kids and I are (finally) starting to get back into their school routine. That means stocking up on all kinds of supplies for lunches and snacks at school. Our school collects Box Tops and the kids get a prize when they collect a certain amount every month. So, we try to buy products as often as possible that have Box Tops on them to help my kids reach that monthly goal. When you buy General Mills products at Sam's Club you can earn more cash for your school! Sam's Club's “6 Box Tops on a Pack” promotion allows you to collect even more Box Tops for your school since you'll find at least 6 bonus Box Tops on some of your favorite brands, including Nature Valley, Yoplait and Progresso. And while you're there, be sure to pick up all of those other essential school supplies, from notebooks to pencils to computers! One winner will receive a $25 Sam's Club gift card! To enter, tell me whether or not your school has incentives for bringing in Box Tops! Giveaway ends Saturday, January 28th at 11:59 pm EST. Winner will be chosen at random from all eligible entries. Good luck! At my kids' school, they have snack time every afternoon to help the students get through the last part of the day. I have to come up with something to pack for them every day, and it's not always easy to come up with new options, especially healthy ones. That's why I was excited to hear that Ocean Spray now makes fruit snacks. snack your kids will love and that you'll feel good about giving them, but they can also help your school! Ocean Spray fruit flavored snacks are available year-round with double Box Tops! Our family really loved the Assorted Fruit flavor (Strawberry, Lemon, Grape, Orange and Cherry), but the Berries & Cherries variety was really good, too! 4 Winners will receive a prize pack containing 6 boxes (3 boxes of each variety) of Ocean Spray Fruit Flavored Snacks! To enter, tell me what flavor of fruit snacks you'd like to see Ocean Spray come out with next! Disclosure: Ocean Spray® Fruit Flavored Snacks, information, and giveaway have been provided by Ocean Spray® through MyBlogSpark. Kroger Milk Promotion & $25 Gift Card Giveaway!! With the holidays fast approaching, many of us are making multiple trips to the grocery store to pick up supplies for all the fabulous meals we have planned. I know I love it when my local store has a great deal advertised on things I'd buy anyway. It helps stretch the budget at a time when money tends to be a little tight. That's why I'm so pleased that Kroger has a promotion going on now through November 26th in stores to help you score FREE milk! Purchase participating General Mills products that your family knows and loves (like Cheerios, Pillsbury Ready to Bake Cookies, Nature Valley Bars and Fiber One Bars) and Kroger will reward you for your purchases! For every 4 qualifying products you buy, you will receive free milk (up to 2 gallons at a maximum price of $3 each) or $3 off your shopping order. How great is that?!? Visit Kroger.com for more information and great ways to save and be sure to check out the Kroger Facebook page to join the conversation and share which General Mills products you’d like to stock up on during the promotion. Someone will win a $25 Kroger gift card to help with those holiday purchases! Just leave a comment telling me: What is your favorite General Mills product? Giveaway ends Wednesday, November 23rd at 11:59 pm EST. Winner will be chosen at random from all eligible entries. Good luck! Disclosure: The Kroger gift card, information, and giveaway have been provided by Kroger and General Mills through MyBlogSpark. Sam's Club and Box Tops for Education PLUS a $25 Gift Card Giveaway! Can you believe it? Another busy summer has flown by and it's time to start getting in that back-to-school mindset! I know our family has been busy buying supplies and making preparations to make sure everything is ready when the first day of school comes. 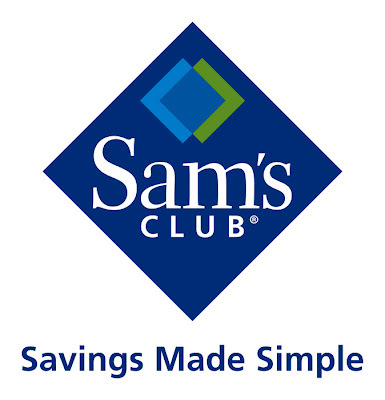 Plan ahead and take advantage of the savings made simple at Sam’s Club. Your wallet - and your local school - will be thanking you! When you purchase participating Box Tops for Education items, you can now collect 6 Box Tops on some of your favorite General Mills brands such as Honey Nut Cheerios, Nature Valley Oats 'N Honey Crunchy Granola Bars, Totino’s Pizza Rolls, and more! As always, you'll find incredible value on all kinds of items at Sam's Club and you'll be doing a great service to your community. There's no better way to shop! Find out how you can contribute to your local school at www.boxtops4education.com. One of you will win a $25 Sam's Club gift card to go out and purchase some supplies for the upcoming school year! To enter, tell me which General Mills product you're looking forward to earning 6 Box Tops from! 1) Follow me via Google Friend Connect. 2) Subscribe to One Day, One Dollar at a Time. 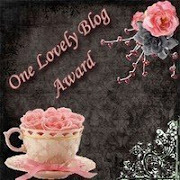 4) Blog about this giveaway or post on Facebook/Twitter and provide the link in your comment. Giveaway will end Thursday, August 11th at 11:59 pm EST. Winner will be chosen at random from all eligible entries and will be contacted via e-mail. Good luck! While it may be a little cliché, I started off the new year with a couple of resolutions in mind. #1: Break up with caffeine. #2: Finally get down to my ever-elusive goal weight. So far, I can give myself a little pat on the back. I haven't had a stitch of caffeine since January 1st and I'm on my way to 20 pounds lost with the help of Weight Watchers Online. Still, I recognize that the journey to weight loss isn't an easy one. I tend to get stuck in a "diet rut" where I eat the same thing over and over, and boredom isn't my friend when it comes to sticking to an eating plan. I love that Progresso offers tasty, healthful options in their soups. Available in 40 delicious flavors with 100 calories or less, Progresso® Soup can help curb your hunger, making it easier for you to stick to your weight management plan all year long. With hearty ingredients like pasta, beans, corn and rice, and flavor-packed vegetables like tomatoes, carrots, and peppers, Progresso Soup varieties with 100 calories or less offer a good source of fiber and a full serving of vegetables. I had the opportunity to try the Light soups, which are Weight Watchers-endorsed and are clearly labeled with Points values. I especially liked the Beef Pot Roast and the Chicken Noodle varieties, and it was so easy to just grab a can to take with me to work for a healthy, satisfying lunch! To help kick off a new outlook on the New Year, Progresso is excited to announce the return of the "Souper You™ Debut" contest! From January 3rd through March 16th, you can visit Progresso on Facebook to enter for the chance to win a full makeover in New York City. To enter, tell me if you've tried Progresso soups before...if so, which is your favorite? Giveaway ends Saturday, February 26th at 11:59 pm EST. Winner will be chosen at random from all eligible entries. Good luck! I remember it like it was almost yesterday...my first date with the man who would turn out to be my husband. The butterflies in my stomach, the nervous excitement and the hope of what this new relationship could turn out to be. We went to dinner and saw a movie and then grabbed some ice cream afterwards. He brought me home and we sat in his car in my driveway for hours and talked about anything and everything. Fast forward 11 years and we're married now with twin 5-year-old boys. Things are still great, but in a very different and hectic way. My husband Mike works two jobs and I work part-time, my kids go to school and we still try to maintain a little bit of a social life. We know we need to make time for each other as a couple, but sometimes it's just tough to make plans to go out. That's why I'm glad for a restaurant-quality meal that I can quickly and easily prepare in the comfort of my own home. Wanchai Ferry and Macaroni Grill Dinner Kits allow my husband and I to enjoy a tasty meal together after the kids go to bed. If you're in the mood for Asian cuisine, you can choose from Wanchai Ferry's Cashew Chicken, Spicy Garlic Chicken, Kung Pao Chicken or Orange Chicken. If you're more inclined toward Italian food, the tasty selections from Macaroni Grill include Chicken Piccata and Angel Hair Pasta, Creamy Basil Parmesan Chicken & Pasta, Chicken Alfredo with Linguine, Garlic & Herb Chicken Penne and Chicken Marsala with Linguine. I personally recommend the Macaroni Grill Creamy Basil Parmesan Chicken & Pasta. It's so good you'll think you're eating out at the restaurant and it looks really pretty on the plate. Pair it with some bread and salad and some candlelight and you have a yummy date night dinner in! If you'd like to purchase a Wanchai Ferry or Macaroni Grill Dinner kit for yourself, use this coupon to get $1.50 off! I'm going to help you make your next date night great! One of you will win a Wanchai Ferry/Macaroni Grill prize pack, which includes 1 Wanchai Ferry dry dinner kit, 1 Macaroni Grill dry dinner kit and a $25 Visa gift card to purchase anything else you may need to make the evening a success! To enter, just tell me which dinner kit you think you'd enjoy the most! Giveaway ends Thursday, November 4th at 11:59 pm EST. Winner will be chosen at random from all eligible entries. Good luck! The products, prize packs and information were provided to me from Wanchai Ferry and Macaroni Grill through MyBlogSpark. All opinions are my own. Album Review: KT Tunstall's "Tiger Suit"
Having been a fan of KT Tunstall's music in the past, I was excited for the opportunity to review her latest album, Tiger Suit. The multi-platinum, Scottish-born singer debuted her third album in stores earlier this month and the result is a very unique sound with a bit of a departure from her previous work. Classifying this new style as "nature techno", KT manages to blend dance rhythms with a raw, edgy vulnerability for a music genre all her own. In my opinion, many of these songs don't fit a mainstream radio mold, but for those who long for something a little different than the norm, this record fits the bill. I'll admit that I prefer some of KT Tunstall's earlier work over the new style set forth in this album, but there are still a few tracks worth listening to. "Lost" speaks to the complications of being blinded by love. Also, "Uumannaq Song" and "Come On, Get In" have a great beat that make you want to get up and dance. You can check out KT's official website, Twitter or Facebook for more information on tour dates and where to buy her album. One2One Network provided the album for review. I did not receive any compensation for this post and all opinions are purely my own. Back- to-School with Sam's Club & $25 Gift Card Giveaway! Can you believe it? The summer has flown by and it's time to send the kiddos back to school again. Naturally, one of things we as moms will have to start doing again is keeping the cupboards stocked with lunchbox staples for our children. Wouldn't it be great if we could accomplish this task and do something to help our kids' schools at the same time? For an easy solution, head over to your local Sam's Club from August 11th through August 31st and earn more cash for your school. At the Sam's Club Back-to-School event, you can get a head start on your collection and find 6 Box Tops on participating General Mills products. With your favorite Box Tops for Education brands at a great value, Sam's Club is your one-stop destination for all your back-to-school supplies you need to send your kids off to school with confidence! 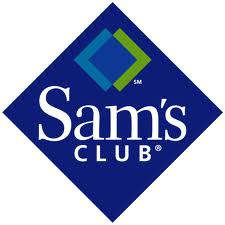 In addition, Sam's Club is giving you the opportunity to earn even more Box Tops when you upgrade to a "Plus Membership". From August 6th to August 13th, or while supplies last, visit the Member Services Desk of your local Sam's Club and upon payment for your Plus Membership, you will receive a certificate for 150 bonus Box Tops! How awesome is that? My husband and I have been able to take advantage of some of the awesome benefits that come with having a Plus Membership in the past, including high-value coupon offers customized specifically to the items you buy most! For more information on how you can take advantage of the Back-to-School event at Sam's Club, visit http://www.samsclub.com/ today! Thanks to My Blog Spark and Sam's Club, I am pleased to offer one of you the opportunity to win a $25 Sam's Club gift card to go out and purchase some of these great General Mills products and earn some Box Tops for your school! To enter, tell me your favorite General Mills Box Tops item. Giveaway will end Monday, August 23rd at 10:00 pm EST. 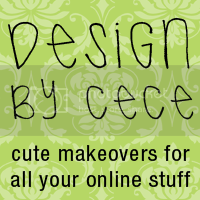 Winner will be chosen at random from all eligible entries and will be contacted via e-mail. Good luck! A special thanks to Sam's Club and General Mills through My Blog Spark, who provided information contained within this post along with a Plus Membership upgrade and gift card in exchange for my post, as well as the gift card for the giveaway. All opinions are my own.